As part of a deal in the wake of Elon Musk’s bizarre tweet this past August, the SEC is requiring Tesla’s CEO to step down as Chairman of the forward-thinking electric car company. The settlement will also require Musk to reign-in his Twitter account to prevent future inappropriate tweets. The deal was struck only two days after the SEC accused Musk of misleading his investors about his plans to buy back his publicly traded company. He will be barred from re-election as Chairman for three years. An independent chairman will be appointed in his stead while Musk remains CEO. The SEC also charged Tesla of failure to have disclosure controls in place to properly vet Musk’s tweets. Both Musk and Tesla will pay $20 million each to the SEC for the oversight. The deal will still need to be approved by a court is more lenient that the original SEC demands, which included the total exclusion of Musk from any executive role at Tesla or any other publicly held company. Jay Clayton, SEC chairman, defended the deal, a rare public statement from an SEC chief concerning enforcement actions. Tesla and Musk agree to settle the allegation, but without admitting or denying the charges. Musk’s August 7 tweet invoked the number 420, a thinly veiled reference to marijuana. He said he mentioned “420” because he thought his girlfriend, rapper Grimes, would find it amusing. “According to Musk, he calculated the $420 price per share based on a 20% premium over that day’s closing share price because he thought 20% was a “standard premium” in going-private transactions. 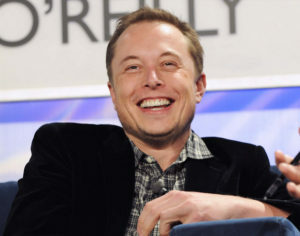 This calculation resulted in a price of $419…he rounded the price up to $420 because he had recently learned about the number’s significance in marijuana culture and thought his girlfriend “would find it funny, which admittedly is not a great reason to pick a price,” the SEC stated in their complaint against Musk.